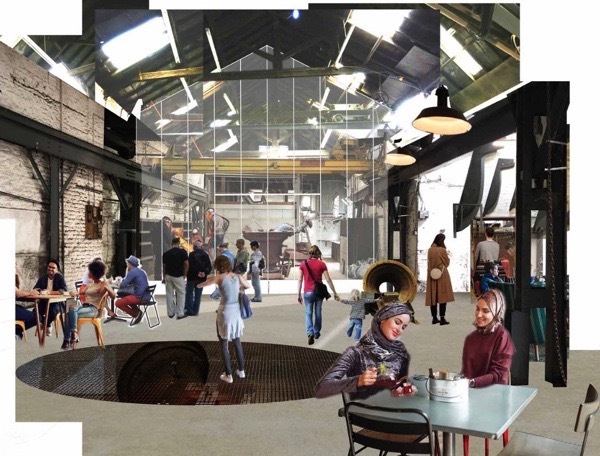 Raycliff Capital, the developers who want to turn the historic Whitechapel Bell Foundry into a bell-themed boutique hotel, have submitted their application to Tower Hamlets council for change of use from foundry to hotel. Now you get to have your say. Would you rather have the Whitechapel Bell Foundry converted into an upmarket hotel or would you rather it was a foundry, continuing a tradition of casting bells in Whitechapel that dates back to 1363? A choice has to be made and Tower Hamlets council must establish which is the OPTIMUM VIABLE USE – this is a term in planning law which means the ideal purpose for a building. Since the Whitechapel Bell Foundry was built as a foundry and worked as a foundry for centuries, it is self-evident that this is the OPTIMUM VIABLE USE, not a boutique hotel. United Kingdom Historic Building Preservation Trust (a charity with a distinguished track record in heritage-led regeneration) have announced a partnership with Factum Foundation (a global leader in the use of technology for the preservation of heritage and maker of sculptures for some of the world’s most famous artists). Together, they have the resources to buy the buildings off the developer at market value and re-open them as a foundry, re-equipped with up-to-date machinery, for the production of bells and art casting. Bippy Siegal, the New York tycoon who owns Raycliff Capital often works with business associate Richard Caring in hotel projects. Recognising that there is a viable alternative to their boutique hotel proposal, Raycliff Capital have appropriated the language of their rivals by claiming they are actually ‘reinstating a foundry,’ meaning that bell polishing will happen in the lobby of their hotel sometimes. The reality is they are reducing the foundry use by more than 90%. In spite of this attempt to muddy the waters, I think the difference between a boutique hotel and a bell foundry is quite obvious. I hope this campaign succeeds. It certainly deserves to. And I adore the photographs you’ve chosen of the fabulously named Bippy Seigel and his associate. Makes me ashamed to be American (again). Thanks GA for championing such an important cause. I agree with Jamie’s comments, a cynical and inappropriate visualisation of the hotel lobby. If the decision goes the ‘wrong way’ for the Developers, can this be called in and overturned by Mayor Khan? Hence the depictions…. I will be writing a letter of objection today, thank you Gentle Author for the relevant links. Have registered an objection to this obnoxious application. The developers’ taste is beyond question. I hope with all my heart it will not ne turned into a horrible, tasteless (and as vulgar as the devloppers – and I agree wiht Hayley Bell, the pictures could not be better)) boutique hotel. As I live in Spain and I’m French, I don’t think I can write a letter of opposition. Correct me if I am wrong. If this wasn’t all so sad, it would almost be amusing that there are actually those who seem to think that polishing the odd bell while people sit nearby sipping their lattes bears the smallest resemblance to the hot, noisy, dirty, proper work of casting a bell (or anything else) in a real foundry setting. That is of course if they do believe it and are not just trying to con the rest of us with this sop. Thanks GA for keeping us abreast of this. Agree with all said above. I couldn’t help but notice too that the artist responsible for the visualisation of the hotel lobby has neglected to give the ladies in the foreground any legs or feet. Thank you again for highlighting this. Putting pen to paper right now. The proposal is simply awful – totally appalling. Objection registered in strongest terms. Daughter visited on school trip many years ago and lots of children and adults will have many happy memories of visiting the Bell Foundry. I don’t see many class trips planned to visit a boutique hotel. I can only hope that Tower Hamlets does the right thing. Thanks for the update, GA: I wrote this to Tower Hamlets. PS: I too noted the ploy of showing two women with headscarves in the foreground. As with the notional ‘bell-polishing’, I really hope Tower Hamlets Council realises just how cynically the developers are attempting to play them. Not only would it continue the ancient craft of bell founding where it has been carried out for hundreds of years, but creatively breathing new life, techniques and materials into the field, and a new generation of artists and crafts people. This would be a world leading project and a great benefit to the locale, London and Britain. OR, just another boutique hotel for the benefit of an elite few? I need to think, but I’ll get back to you on that one! Doh! I do casting for jewellery . It includes some of the processes used in the casting of the brass bells at the Whitechapel foundry so I really do appreciate how they are made.. People have been casting metals for thousands of years The trashing of human skills and replacing it with machine made junk is steaming ahead unchecked . In one grand sweep Tower Hamlets Council will erradicate yet another time honoured craft and trade. This time round I hope they stop and think a bit more as to what they are doing . Do we really need any more junk ? I will be writing my objections later today and spreading the word to as many people as possible… let’s hope the campaign succeeds! The alternative plan is so much better in every way that it would be a tragedy if it fails to replace the horrible hotel idea. I also had the same thoughts as above re the brilliantly naff photos of the developers (!) and also the cynical use of the Muslim models in the visualisation. Where are the fat cat Americans who would be much more likely to be the customers of such a bad taste hotel?? I am saddened and totally appalled by both the visualisation and the photographs. As such, I have just emailed my objection forthwith! In the days when I used to run my shop in the Roman and this type of problem cropped up, Jonn Biggs who was then a Labour councillor was one of the good guys, can he help? I presume that as a citizen of the United States my opinion would not carry any weight with local government. But I have to remark that the photographs you found of the developers illustrate everything that I find distasteful about the project… and that isn’t even addressing the myopic, insulting proposal that they submitted to Tower Hamlets. If London is anything like New York City or Boston she already has a surfeit of boutique hotels. Correct me if I am wrong, but does she have even half a dozen bell foundries…? Particularly any others with this distinguished history? You can still submit an objection, Jennifer. Please do so! Yes, you can submit an objection from anywhere in the world. I find that because I don’t have a UK post-code that I can’t post to Tower Hamlets’ website (darn — I’d paste this on shop windows and lamp posts if I lived there)! But the letter is written and mailed; here’s hoping it helps! An important and historic part of London’s history that can and must be preserved. I am objecting and encouraging others to do the same. Thank you for your very well written piece with its clear instructions onhow to make an objection. Thanks Gentle Author for helping us to object to this monstrous plan – done! This foundry has been casting bells for centuries and is part of the heart and soul of Whitechapel as a whole. As such, it should be defended to the hilt in order to stop it being turned into another swanky upmarket hotel that most people want or need. This foundry should be protected at all costs. What I meant to say was that most people in the area don’t want or need another non-descript swanky upmarket hotel. Please no!!! Not another hotel, leave the British history alone. If those damn Americans want to build another hotel do it in their own country. Leave the UK alone. As my previous comment, please note I am not British but I do have British ancestors. My maternal forefathers were from Yorkshire. I hate seeing British history been destroyed by all the rich foreigners. I have written to Tower Hamlets Council in the strongest possible terms and encouraged many others to do the same, this is outrageous and a travesty. I have also written to Private Eye and asked them to help with the cause and cover the story. I know there’s so many bad news stories around right now but we shouldn’t let this become another one. I urge everyone to do the right thing and show their disdain for this outrageous proposal. Internationals might want to follow the Gentle Author’s other suggested routes to protest. Thank you, GA, for this. By the way, the word is definitely traveling–I learned of the project via a post on an academic listserve for Victorian-history scholars. Just to let you know I have today written to Tower Hamlets Planning Department registering my objection to yet another historical building under threat by developers who have no real knowledge or love of the area. We can but try and…..I want to thank the GA for keeping us in touch with the current situation. Objection sent. The idea of a bell-themed boutique hotel is absolutely gross. God speed the campaign against this travesty. Thank you for making this so straightforward. I live abroad and had no idea that I might be able to have any say in such a matter. I have registered my objection and I’m sure I’m just a speck of sand on this particular beach. Keep doing what you do, Gentle Author, we’re all the better for it. There can’t be anything to add that hasn’t already been said. we have sent in objections and encouraged many contacts to do so, but unfortunately all too many people said that didn’t think the council would take any notice as history and tradition meant little to them. Any physical protest being made – if so could you keep updating the news. 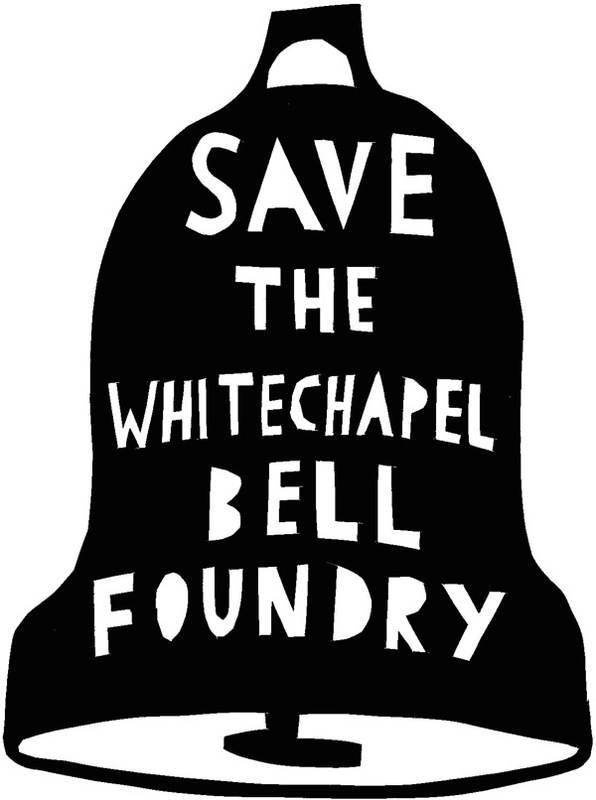 Save the bell foundry as a foundry. a quick money making sceme. I have just written to Tower Hamlets council objecting to this application. It seems very sad that a cynical commercial ploy to take advantage of the heritage of the Whitechapel Bell Foundry is provides. London does and can provide the opportunities for our heritage to live side by side with the pressures of the modern world. This application does not inspire this co habitation. I’ve just written to Tower Hamlets Council to object as well. I do hope they are flooded with objections and this wonderful building is saved from the developers’ dead hands. Thanks for your fantastic work and helpful guidelines. I have submitted my objection. Thanks for alerting us and giving us all the information needed to object. Why do we still want to destroy our historical buildings! I hope the council see sense this time. I have today written a letter to Tower Hamlets Council to object. As a musical instrument maker whose son worked for a bell-foundry near Orléans until it effectively closed, I have the deepest empathy with your struggle to preserve both material and immaterial heritage of the first order. Bravo for the fight you are putting up! Nil Illegitimus Carborundum! Save the bell foundry no way should it be a hotel , so wrong ! Thank you for raising public interest in this fabulous treasure. It certainly deserves everyone’s support. The fact that this building has created bells that are still tolling their beautiful song across London – and much wider than that, perhaps – is a delightful notion, expressing much about English history and culture. I have written my strong letter of objection and shared with family and friends. There is a sad inevitability about these things, but I have a glimmer of hope with the Historic Buildings trust and the Factum Foundation getting on board. That artist’s impression above doesn’t even merit comment. Ugh. 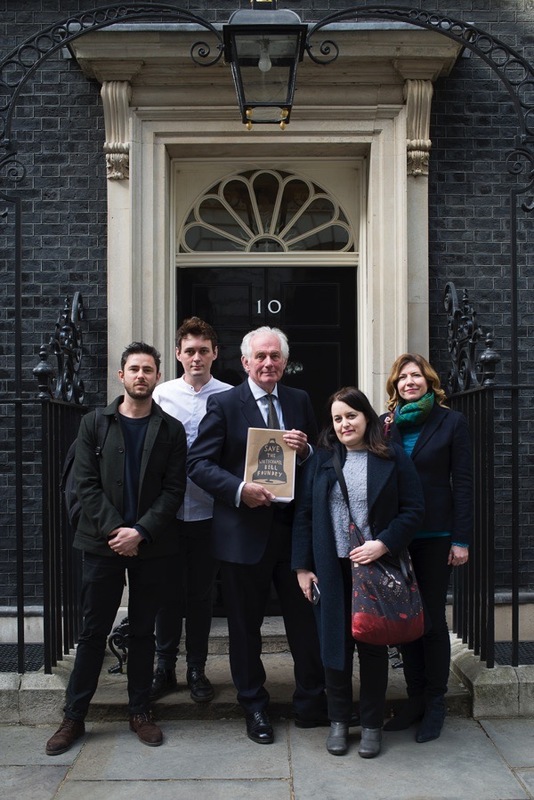 Could you please tell us how the campaign to save the foundry is going? I sent a few $s to your great cause!